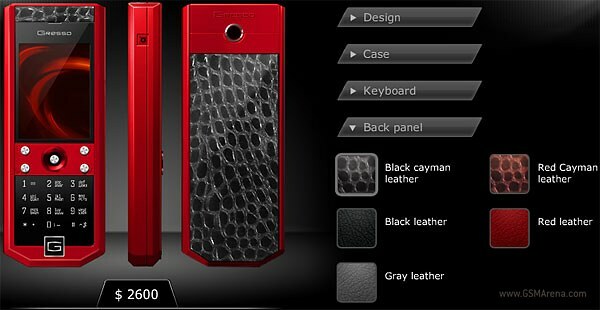 The Russians from Gresso have just redefined luxury phones. 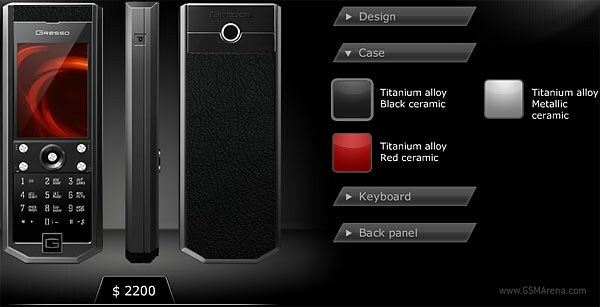 While others would only engrave your name or initials on your future luxury mobile phone, Gresso will also let you mix different materials to make it truly unique. For now the available choices include only case materials and colors. And currently, there aren’t that much of those to choose from in the first place, but it’s a start. A start into private luxury phone customization. And, according to the company, there are around 40 possible combinations. When you’re ready with your custom-made luxury phone you will have to wait two weeks for it to be delivered to you from Switzerland. I’m not into luxury phones but I do appreciate Gresso’s idea. On top of it, you can have your name engraved on your mobile phone. The other good news is the price: it starts from 2200 US dollars. Pretty affordable, aye?